Leo Vegas AB is a Swedish based company which was founded in 2011. It offers online casino games as well as sports betting services. “Leo Vegas Gaming Ltd” is the name of the company which the group created to direct online casinos, and this company is now running all online gambling operations. Leo Vegas AB is listed in Stockholm Nasdaq under the code “SDB”. Gustaf Hagman is the first and current CEO of the Group. Born in 1974, Hagman graduated from Stockholm University and Leo Vegas is his first and only project. The group runs all its operations from Stockholm, but Leo Vegas Gaming Ltd is a Malta based company that targets mainly the UK and Nordic countries. In this context, it offers a combination of betting and casino services together to be able to address every liking. In recent years, we can say that they are paying more attention to sports betting. As a matter of fact, they are one of the sponsors of the EFL Championship. It is possible to see the logo of the company on the shirts of the Brentford club. Leo Vegas is not the only casino site of the group, but it’s the flagship brand. The group bought the Royal Panda casino in October 2017 for € 60 million, and currently operates two casino sites. It is also known that they are planning to buy more sites in the near future. The company employs about 350 people and has annual revenue of around 85 billion Euros. In this respect, Leo Vegas is considered one of the biggest gambling operators in Europe. The company uses the “mobile first” mentality when choosing the games to be offered to members, and for this reason, all games in their casinos are 100% compatible with all mobile operating systems. The group carries out its technical development with a special group called “Gears of Leo” and ensures that all services offered are mobile-friendly. Indeed, Leo Vegas defines itself as the “king of mobile casino”. Leo Vegas online casino opened in 2012. Since nearly 6 years, it has been serving all of the Northern European countries (and the UK). As can be understood from our explanations above, Leo Vegas is a casino targeting mobile devices, and for this reason, the design of the website is quite simple. The desktop version of the site has a practical design. Since the HTML5 infrastructure is used, page loading times are extremely satisfactory. The website is predominantly orange in color, which creates an aesthetic look. On the homepage, all new games and bonuses on the site are listed. Some of the games are exclusive to Leo Vegas and cannot be found in other casinos. In other words, most providers choose to organize their games’ world premiere via Leo Vegas. As an example, we can show the “Witchcraft Academy”: This Netent game can only be played at Leo Vegas at the moment. The website does not have any navigation problems. The links you’ll use often are placed at the top of the page. All games and services are listed by categories, so you can find anything you are looking for within seconds. The search feature does not include advanced filters, but it’s still pretty handy. In this context, there are three different services offered to members: Casino, Live Casino, and Sports Betting. The sports betting service uses the Stockholm-based “Kambi” betting platform. This platform has eCOGRA certification and is managed by Unibet. 888 Casino and 32 RED are among the members of the Kambi platform. The infrastructure of the Live Casino service is provided by Evolution Gaming and ExTREME. As can be predicted, the mobile compatibility of Leo Vegas is at a high level. Whichever mobile operating system you use, you get an ideal gambling experience. We can even say that the design of the mobile site is much more aesthetic. In terms of performance and features, there is no difference between the desktop and mobile versions of the site. The website supports only English language, but 5 different currencies are available (CAD, USD, EUR, POUND, KORUNA, KRONOR). The website also has native apps for iOS and Android platforms that can be downloaded from the official app stores. 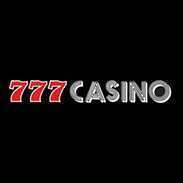 It is possible to play live casino games via mobile apps too. Having a total of 4 licenses means that it is audited by four different institutions. From this point of view, we can easily say that Leo Vegas is one of the most trusted casinos. The games and bets on the website are regularly audited for fairness, but the results of this audit are not publicly announced. Every page of the site is protected by 128-bit SSL encryption, provided by DigiCert Inc. This ensures that your personal and financial information is always safe. Leo Vegas does not accept members from the following countries: Australia, Curacao, Cyprus, Estonia, Hungary, Russia, Ukraine, United States, and Turkey. The site is also compatible with responsible gambling practices. Each member can put various restrictions on his account and limit the duration of his game time and/or budget, for example. Other than live casino titles, you can try all of the games for free, even if you are not a member yet. All games can be played instantly via browsers, so no download is needed – just click the “play” button and the game will be ready in mere seconds. They all are above a certain quality level and can satisfy the needs of every type of gambler out there. Needless to say, all games can be played seamlessly on all mobile devices. 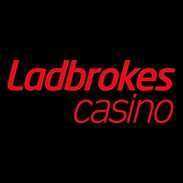 100% up to £300 + 30 bonus spins on selected games. £5 min. wager to activate deposit spins- expire 3 days from claiming. £5 max. stake using bonus. Skrill, Neteller deposits excluded from offer. In order to use the bonus you get, you have to complete a turnover requirement of x35. In other words, to be able to use 1,600 Euros, you need to invest 56,000 Euros first. Until you reach this amount, several restrictions are being applied to your account. 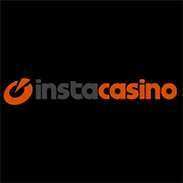 For example, until you reach a total deposit amount of € 56.000, your maximum bets are limited to € 5 for each game. Also, if you make a profit by using the bonus spins, you must complete a separate x35 wagering requirement too. Lastly, we should mention that you cannot make a withdrawal until the turnover requirement is complete. If you do, you are considered to have given up the bonus. To use the bonus you get, you have to complete an x70 turnover requirement. So you cannot use/withdraw 250 Euros without depositing a total of 17,500 Euros, just like the welcome bonus above. The account restrictions for the welcome bonus also apply to the live casino bonus. Magical Prize Bonus: You can win a real-world prize by playing the games that make their world premiere in Leo Vegas. For instance, while this guide was being written, a free trip to the Bahamas was being offered to “Witchcraft Academy” players. The games that are subject to this campaign are constantly changing, but the reward is always a trip in the real world. Planet Fortune Giveaway: By playing the slot machine of the same name, you can participate in a tournament and get a chance to win 10,000 Euros. Roulette & Cards Bonuses: Every day, in live roulette and card games, some betting options allow you to earn up to 20 Euros. In addition, Leo Vegas has a VIP club. You can only join the club with an invitation. Club members can earn experience points and levels with every game they play and every bet they make. There is also a monthly VIP exclusive prize draw. You also get personal customer representatives, increased betting limits, and much shorter transaction times. Minimum deposit amount is 10 Euros. The minimum withdrawal amount is 20 Euros. Withdrawal operations are completed within 5 business days. Every month, there is no charge for the first withdrawal. However, if you do more than one withdrawals in 30 days, you have to pay a fee of 3 Euros for each. Security & Reliability. Leo Vegas is one of the most secure and most trusted online casinos. Using 4 different licenses, it has an unmatched level of security. Game Variety. With 600 games to choose from, you can be sure that there is a game for your needs. Mobile Compatibility. Whichever mobile operating system you use, you can play all the games without a problem. Leo Vegas is one of the best online casinos to play games with real money which offers entertainment and profits together. For this reason, we strongly advise you to try Leo Vegas, no matter what kind of player you are. 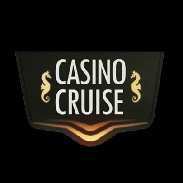 0 responses to "LeoVegas Casino Slot"